Debris removal operations being carried out at the Unit 3 reactor at the Fukushima Daiichi nuclear power plant are being blamed for large releases of radiation into the environment. TEPCO has announced that they estimate some 1.1 trillion becquerels of radiation was released during debris cleanup operations at the Fukushima Daiichi Unit 3 reactor. 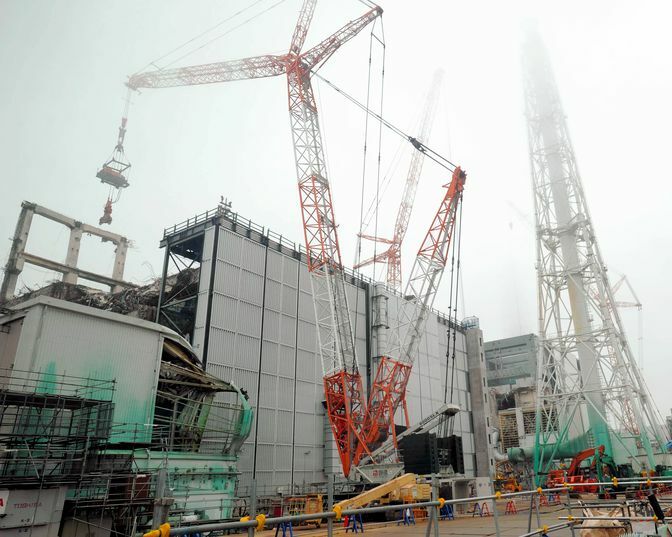 According to TEPCO’s estimates the removal work generated 280 billion becquerel per hour releases. Some of the radioactive cesium which was released during the debris removal operations was found over 12 miles away in Minami Soma rice fields. The Fukushima Daiichi plant is still estimated to be releasing 10 million becquerels per hour of radioactive materials. The debris cleanup operations at the Unit 3 reactor released more radiation into the environment then will be released from the plant in the next 12.5 years at the estimated 10,000,000 becquerel per hour leak rate. TEPCO officials stressed that the precise amount of radioactive materials that had escaped during the debris removal operations is still unknown.